The new denim is great. 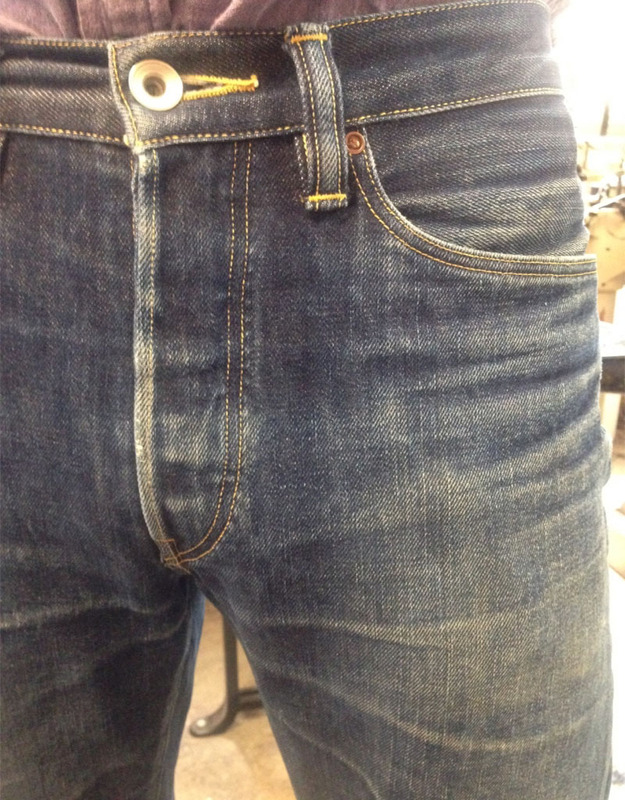 Its called “black seed” denim from Cone’s White Oak Plant (plant meaning factory). Black refers to the color of the seed only in the Pima cotton, which is what the denim is made from (At least the weft is; the warp is regular length ring-spun). Its 13.75 oz before shrinking and that means about 15oz after shrinkage. 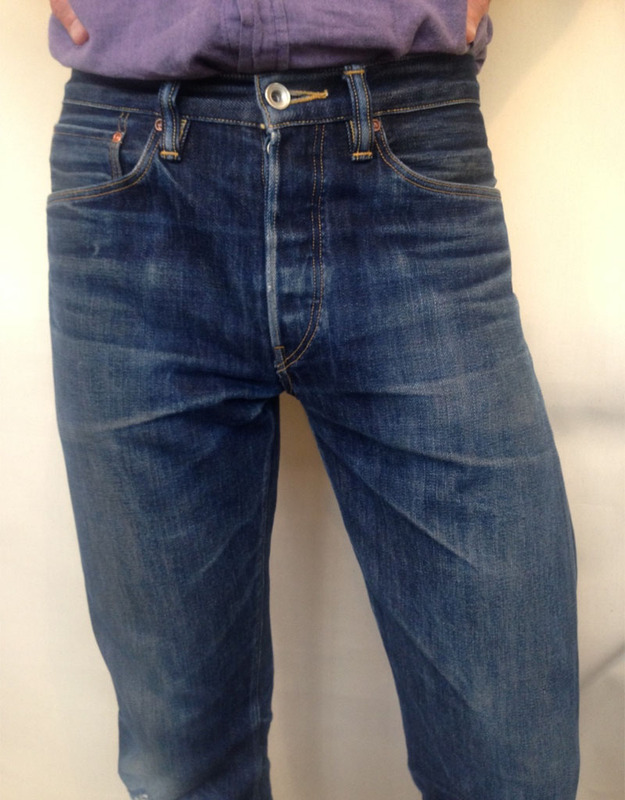 What we were trying to do, was make something very similar to the old “contest denim” (if you know what that was), but about an ounce and a half heavier. That isn’t as easy as it sounds, luckily there are some great people at Cone who know a lot about yarn and denim construction that have taken an interest in helping me. The I.D. line isn’t pink, its faded-red. I say that because I matched the color of a faded red t-shirt which I like. The white part of the selvage is a basket weave, which also looks cool (to me). I would like to add my thanks to Cone Mills for all their help. The White Oak Plant plant is such a unique resource and I feel fortunate to be able to work with them.